Not strictly Amiga, but very Amiga nonetheless: "Moleman 2 - Demoscene - The Art of the Algorithms" is a 2011/2012 documentary film from Hungary about the home computer demo coding scene. If you're into swapping, trading, cracking, coding, intros, demos, cracktros, and that kind of stuff, "Vakondok 2 - Demoscene" - the film's original Hungarian title - by Director Szilárd Matusik is just perfect for you. It explores the Hungarian demo scene, a fascinating insight into the history of demo coding, how demos are made, who makes them, who watches them. 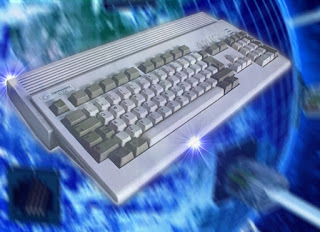 Amiga related content pops up here and there, but where it doesnt it's still a very enjoyable watch for anyone interested the demoscene, digital visual and audible art, computer programming, or computer hardware. Note that large portions of the audio track are in Hungarian, but you can use YouTube's subtitles for an English translation. You can go to http://www.molemanfilm.com to find out more about "Vakondok 2" and the other "Vakondok" movies.